That summer has arrived so we're ramping things up here in Happenings! We've got new venues, new films and new equipment. We're hoping to animate even more of Dublin, Cork & Limerick's beautiful parks and public spaces this year. It's an exciting time! We get asked a lot about volunteering at our events. It's a great way to meet people and gain experience of working at events. 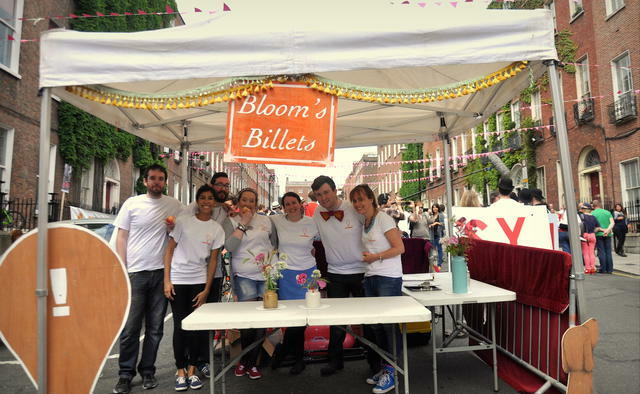 Volunteering at our events is fun, easy and relaxed. It's an important role for us; we need friendly and approachable people to represent Happenings and welcome our audience to the events. If you'd like to volunteer with Happenings this year, please fill out this google form. Thank you!